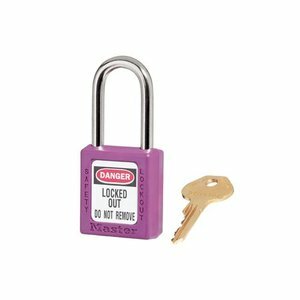 Compact Aluminium safety padlock purple with (5mm Ø) PU encased steel cable. 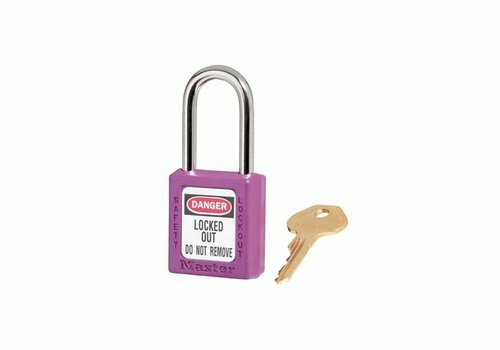 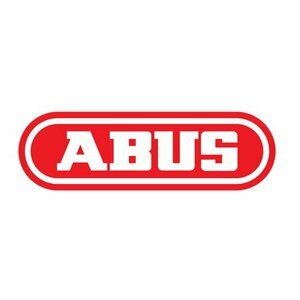 Ideal for situations where 2 or more points need to be locked simultaniously and where a tradional padlock not of use is, like in a fuse box. 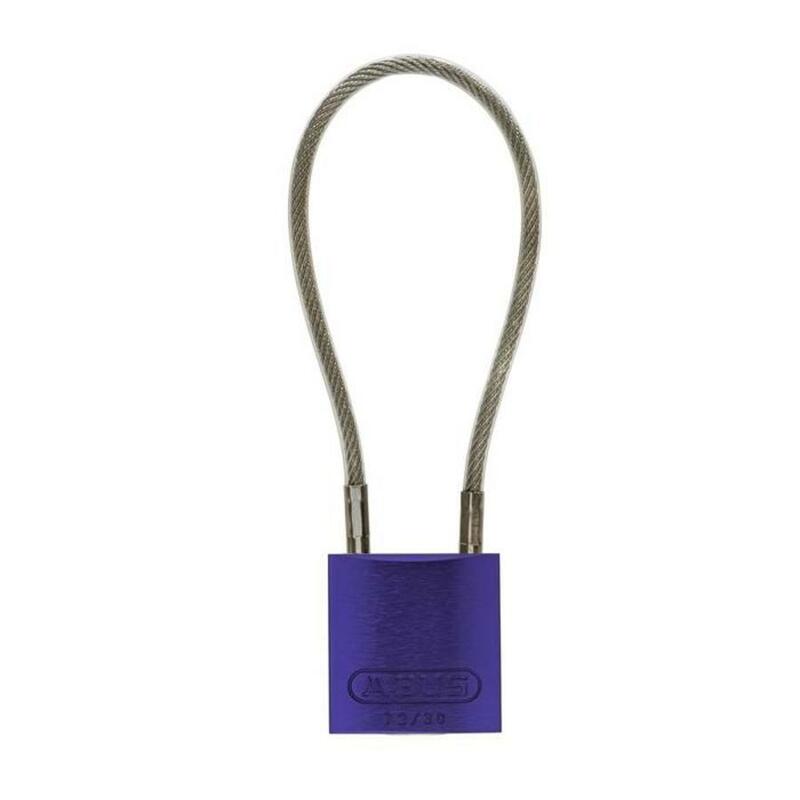 Anodised aluminium body and PU encased steel cable. 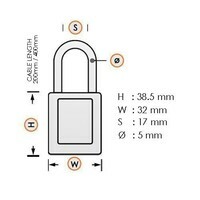 Weight per padlock is only 78g (200mm version). 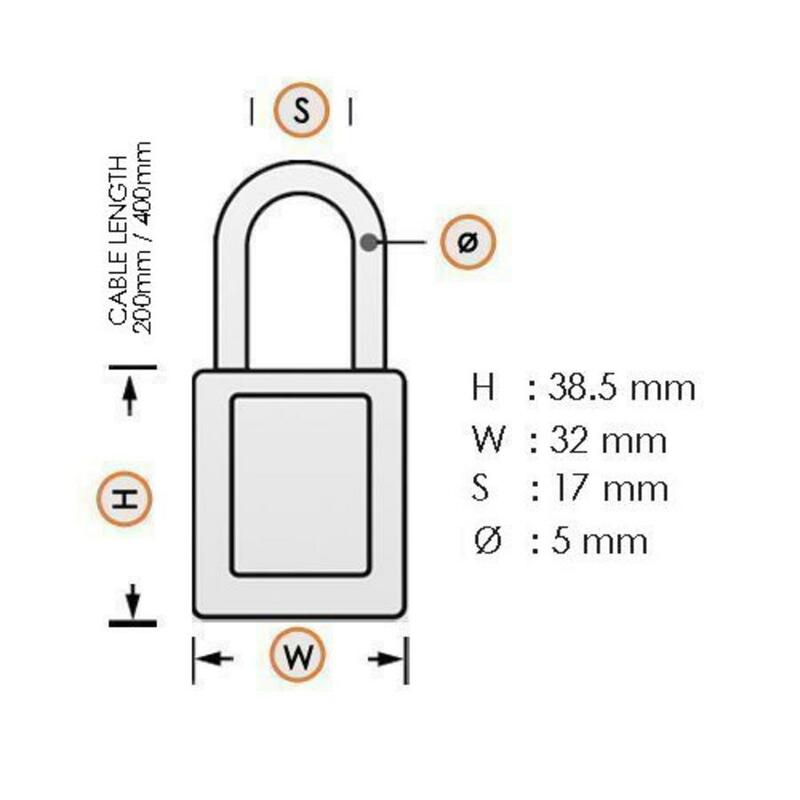 Small cable diameter (5mm) ideal for lockout ready equipment with 5mm holes close to each other. 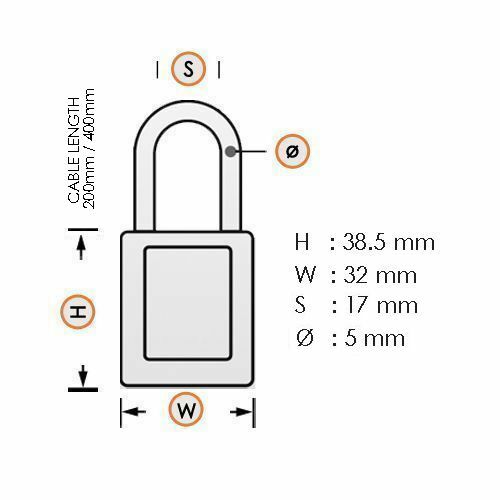 Available in 200m and 400mm. 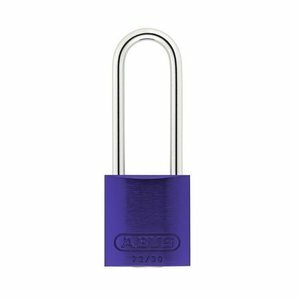 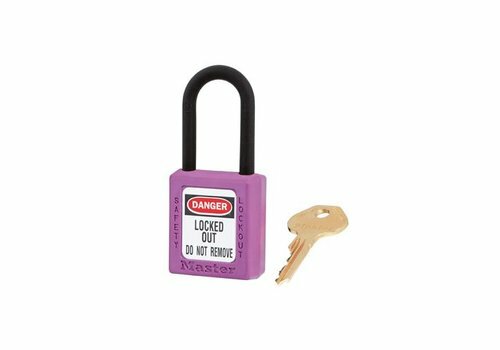 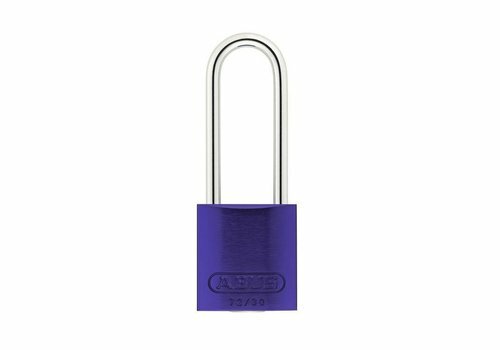 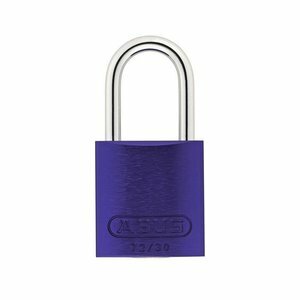 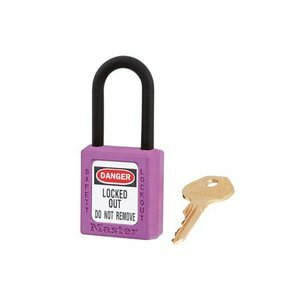 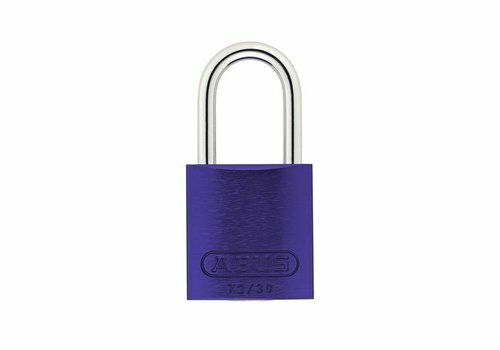 Compact anodized aluminium padlock purple with a (4.70mm) NANO Protect steel shackle.